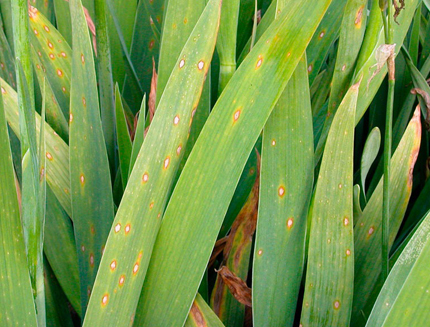 Brown spots that may have reddish margins develop on leaves. Spots can be very small to over 1/2 inch in diameter. 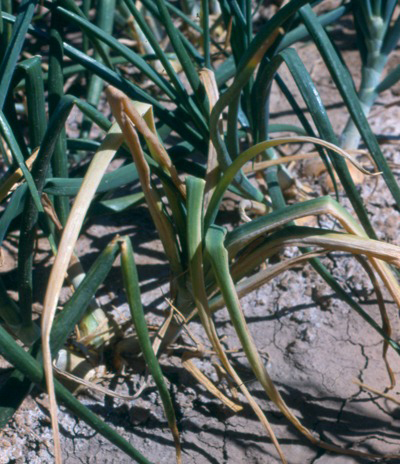 Similar spots on stems become soft and rot in wet weather. 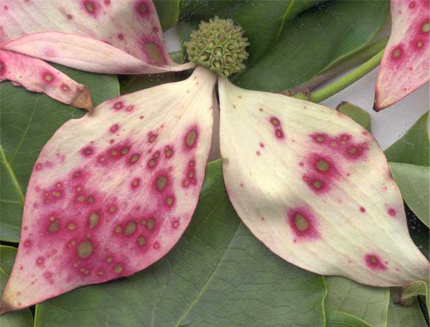 Small, clear spots on petals become brown. Small black granules (sclerotia) form on the surface of the infected corms. 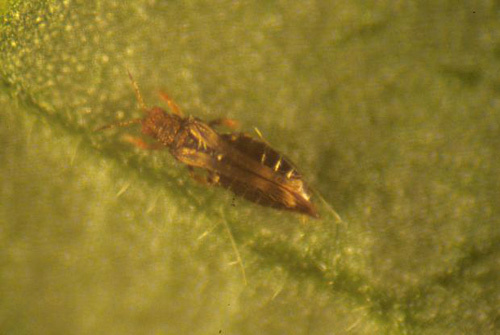 Long, rectangular spots on leaves are tan with a brown margin and yellow halo. Concentric rings form within the enlarging spots. Corms rot. Older leaves yellow. Flower size, shape and color may be abnormal. Flowers may not develop while stalks are curved in an S-shape. Oval, sunken spots on the corm surface are brown and may have concentric rings. Brown, round, sunken areas with raised edges are on corms. A soft rot of the neck develops. Small, round yellow spots have a distinct reddish center when held up to the light. Mature leaves have the most spotting. Small reddish-brown spots on the surface of the corm can be removed, leaving a clean, shallow, sunken area. Corms are dry, hard, and mummified. Clusters of plants are killed by neck rot. 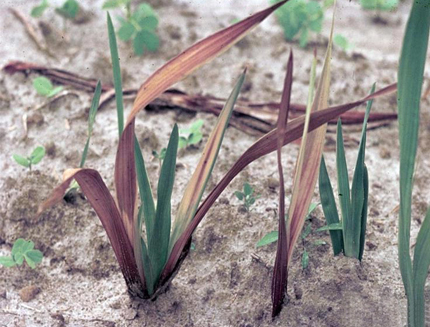 Deformities and discolouration of gladiolus flowers and corms (bulbs). Attacked- buds and flowers remain closed or open irregularly. Infested surfaces show whitish grey glistening. puncture the terminal shoot below the flower bud and inject toxic saliva, Flower drop occurs. Spray dimethoate 30 EC or methyl demeton 25 EC 2ml/lit of water before flowering.